The Red Nose Board is made up of a group of dedicated professionals who work tirelessly to help Red Nose achieve its mission. Craig is an Assurance Partner with PricewaterhouseCoopers (PwC) and has been with the firm for over 17 years both in USA and Australia. Craig is experienced in external and internal audit services, accounting and broader business advice across a broad spectrum of industries covering resources, services and construction and engineering. Craig leads client focused teams in the provision of services to clients and has had considerable experience reporting to Boards and Audit Committees. Married with three children, Craig strives to maintain a healthy work life balance and serves on several other not for profit boards. Ian is an experienced director and CEO, with a varied career in both not-for-profit and commercial organisations. Ian is currently CEO of the Medical Technology Association of Australia, the national association representing companies in the medical device industry, and a director of the Asia Pacific Medical Technology Association, which is headquartered in Singapore. 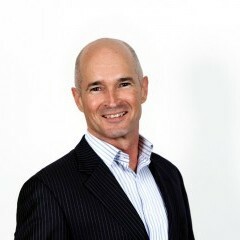 Ian has a strong background in governance, having held senior executive positions with the Governance Institute of Australia, and has been a director on the boards of health businesses, an EFT payments gateway, a transport business and an educational institute in the finance sector. Ian’s previous CEO roles have included the Australian Dental Association (NSW), the Australian Orthopaedic Association and a private equity backed health business. Andrew is a civil engineer with over 20 years’ experience and currently works in senior management position with CPB Contractors, a large Australian construction company and part of the ASX listed CIMIC group. In the past, Andrew has served as a director of SIDS and Kids (Victoria), the National SIDS Council of Australia and the Civil Contractors Federation (Tasmania). Andrew’s first involvement with SIDS and Kids was through the bereavement support he and his family received following the death of his first daughter, Saoirse during delivery in 2004. Andrew is passionate about the potential for reducing the incidence of perinatal death just as the SIDS campaign brought about a dramatic reduction of SIDS deaths in the 1980s and 90s. Andrew and his wife Karyn have since had two more children, Asha and Daniel. Andrew and his family live in Melbourne. Andrew is the Treasurer and chairs the Audit and Risk committee. 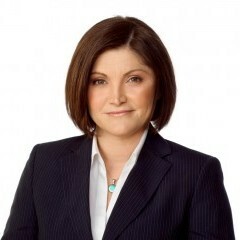 Kammeron has 23 years’ experience in the media sector in Australia and the UK and is currently General Manager, Consumer Sales and Marketing in Victoria for News Corp Australia. 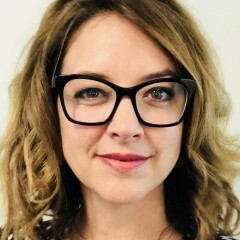 She leads a team of 25 across consumer sales and marketing including brand marketing, retail marketing, subscriber acquisition and retention, retail sales (field sales and circulation), sales operations and secondary distribution. Kammeron sits on the Executive Leadership team for the Herald and Weekly Times. Prior to News, Kammeron enjoyed three years in London with boutique partworks publisher Marshall Cavendish in the role of New Product Development Manager, researching and launching products in eastern European markets and building the business case for re-entry into the UK market. Before heading to London Kammeron held several roles at Fairfax, the main one being brand manager at BRW magazine, part of Fairfax Business Media, where she cut her teeth on all facets of media marketing – consumer and trade – events, PR, subscriber acquisition and retention, sponsorships, promotions and talent marketing. Kammeron is a natural leader with a track record of transforming teams often under challenging organisational circumstances. Kammeron has an open style and genuine desire to connect with people. This enables her to build rapport quickly and has resulted in Kammeron mentoring and coaching many marketers over the years who have gone on to successful careers. Kammeron is a scholar on this year’s The Marketing Academy, has two sons and loves the Carlton footy team. Tracy moved to the Wheatbelt of WA from Sydney in 1996 where she was involved in the establishment and operation of The Fred Hollows Foundation Inc. Tracy has a broad background and experience in providing health services (nursing, psychology and blindness prevention), strategic planning & policy development of health service delivery, regional development and Not-For-Profit organisations. Currently, she is also a Non-Executive Director with Hale School and has completed the Australian Institute of Company Directors course. Tracy has established strong professional, government and community links and has well established networks in the health and regional development sectors. Along with her husband and son, Tracy assists in running a mixed agricultural enterprise in rural WA. Simela is a Partner at Pinsent Masons in Australia. She is a commercial / transactional lawyer with 23 years’ experience in the infrastructure sector. She has advised on many different social and economic projects in Australia, the United Kingdom, Europe, the Middle East and Africa, including in the healthcare, education, custodial and accommodation sectors. 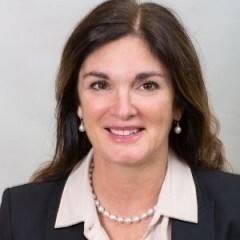 She has acted for charitable institutions, governments and state-owned entities, public and privately held commercial businesses and financial institutions. Simela is a member of the Audit and Risk Committee. Married with two children, Simela is also a bereaved parent. 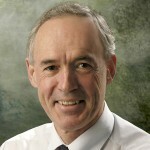 Professor Paul Colditz is the foundation Professor of Perinatal Medicine at the University of Queensland and Director of the Perinatal Research Centre. He is a practicing clinician in neonatology as well as holding a Masters in Biomedical Engineering from the University of NSW and a Doctor of Philosophy from the University of Oxford, UK. 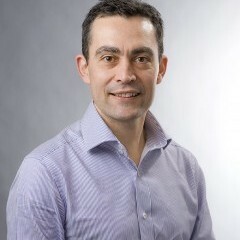 Paul leads a multidisciplinary research team from diverse backgrounds including medicine, science, nursing, psychology, physiotherapy, other allied health, signal processing and biomedical engineering to focus on improving health outcomes for mothers and babies through clinical and translational research. He is a member of the Qld Health’s Maternal and Perinatal Quality Council and a panel member of the Qld Child Death Case Review Panel (DeptCommunities, Child Safety and Disability Services). Paul is a Board member of the Royal Australasian College of Physicians and Chair, College Research Committee. He is President-elect of the Paediatrics and Child Health Division, RACP. 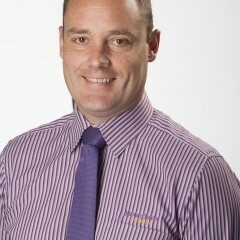 Paul worked in the customer-owned banking sector for 25 years both in New Zealand and Australia. 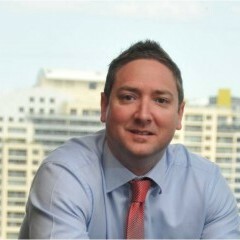 He was the youngest credit union CEO in Australasian history and was rewarded with nomination as world young credit union person of the year in 2003. He currently works as the Member Engagement Manager for Australian Wine Selectors; one of the largest independently owned wine retailers in the country. Paul joined the board of SIDS and Kids Hunter Region in 2012 after being a supporter via a community program and has been chair for the past 24 months, joining the national council at that time.